The Woofa Goofa cuts a very stately rug. Given he just turned 70, you wouldn’t expect Mr. Wolf to be delivering cardiac arrest R&B. His latest album majors in broken-hearted affairs of the soul and it’s all pretty good, if not downright spectacular. 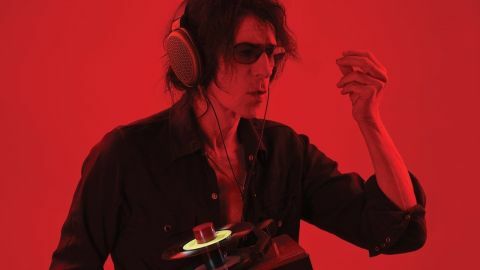 Those bad boys from Boston, J. Geils, get a look in with a semi-Appalachian version of Love Stinks, and there’s a careful interpretation of the old rockabilly noir weepy Tragedy as a reminder that Wolf is also an accomplished DJ. The music is easy-paced with country-style hot licks and light grooves reminiscent of Dr. John. Wolf is in amazingly good shape vocally and with guitarist Duke Levine fronting a crack band, all the tracks are neatly resolved. Bob Dylan regulars Larry Campbell and Tony Garnier pop up but this isn’t a star-studded exercise, more of a stylish platter aimed at grown-ups. Reassuringly, Wolf isn’t pretending to be a born-again rock star – he’s just acting his age. Fair dos.